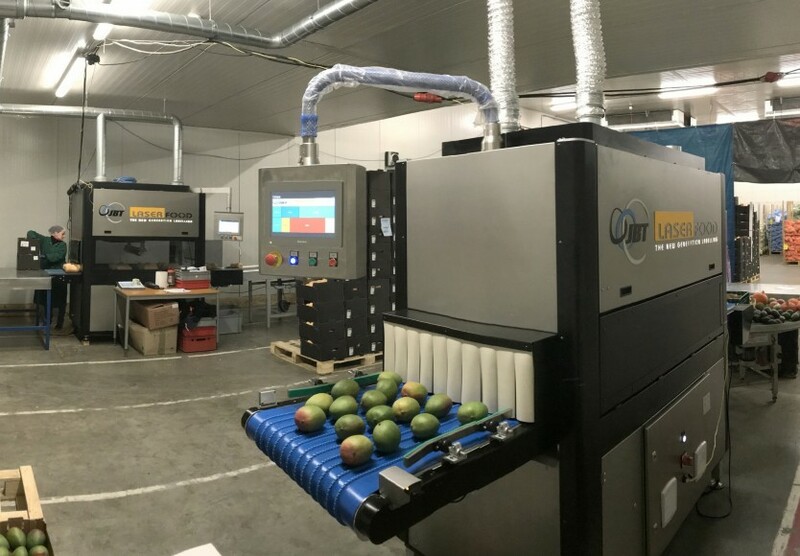 Laser Food, the company behind laser-labelling for fresh fruits and vegetables, looks set for major expansion across Europe during 2018 as a growing number of major grocery retailers commit to the technology. Driven by Laser Food customer Eosta, laser-labelled produce is now available for sale in retailers in Germany, the Netherlands, Sweden, Belgium and Denmark, with France likely to be added to the list this year. The technology has also sparked global interest from companies from Canada to China and Japan. Eosta invested in a Laser Mark machine in 2016 – a decision that was motivated, according to the company’s packaging expert, Paul Hendriks, by strong interest from grocery retail customers. “We put it to some of our customers and two of the biggest supermarkets in Europe were very interested in pursuing this, and that resulted in us putting the first laser-marked products into stores of Swedish supermarket ICA by the end of the year,” Hendriks said. Beginning with avocados and sweet potato supported by an explanatory leaflet, Eosta has since expanded to also export laser-labelled butternut squash to the Swedish chain. The products form part of a range of 10 products that Eosta markets under its own Natural Branding label, which include mangoes, ginger, pumpkins, cucumbers and courgettes. Since the introduction of the laser-marked fruits and vegetables with ICA, Hendriks said the response from both consumers and other retailers had been overwhelming. Eosta is now supplying laser-marked products to several European retailers including Delhaize in Belgium, Rewe, Edeka and Netto in Germany, and Hoogvliet in the Netherlands. Additionally, Dutch retailer Albert Heijn is currently testing the concept, while roll-out with one or two grocery chains in France looks likely before the end of 2018. “Eosta started with this technology two years ago and have benefited from our commitment to ongoing support,” said Laser Food’s international business development manager Stephane Merit. “They have used the system very effectively and have been able to demonstrate to the market that laser labelling is not only more environmentally sustainable than traditional labelling, but that it also makes sense from an economic point of view as it enables savings on paper and materials. 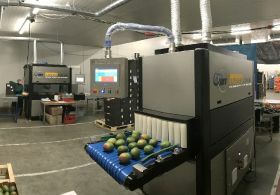 “This is an intelligent system capable of automatically detecting fruits and laser labelling them in real time independently of whether they are boxed or loose,” Merit added. Under Eosta’s Natural Branding label, the system took top prize in the sustainability category at the Packaging Awards 2018; a win that Hendriks said had generated greater exposure for both Eosta and Laser Food. “I think laser labelling is becoming more accepted with more and more supermarkets coming on board,” he noted. Laser Food’s global expansion is being driven through its worldwide marketing agreement with JBT Corporation, a food solutions specialist with a presence in 25 countries, which is now building and promoting the Laser Mark system worldwide.